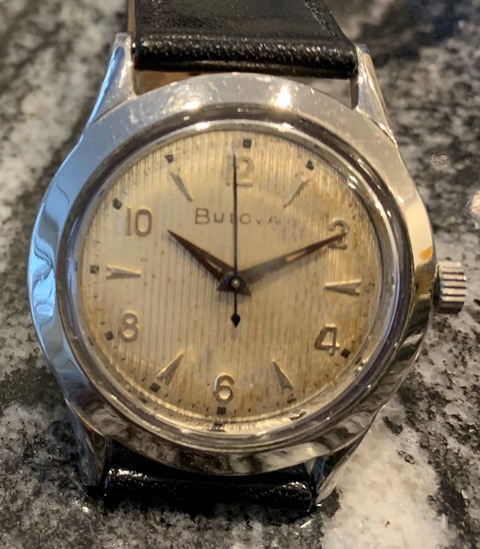 Stainless steel Bulova Phantom with original textured dial and with 1954 date code (L4) and personalized inscription on back (see photos). 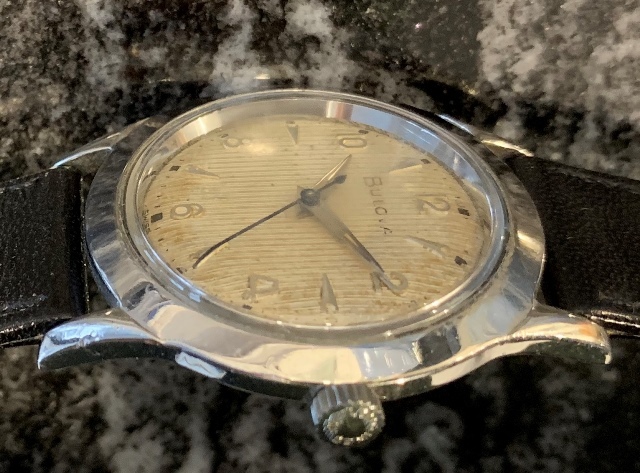 The winding crown has been replaced and bears the Longines name and logo. 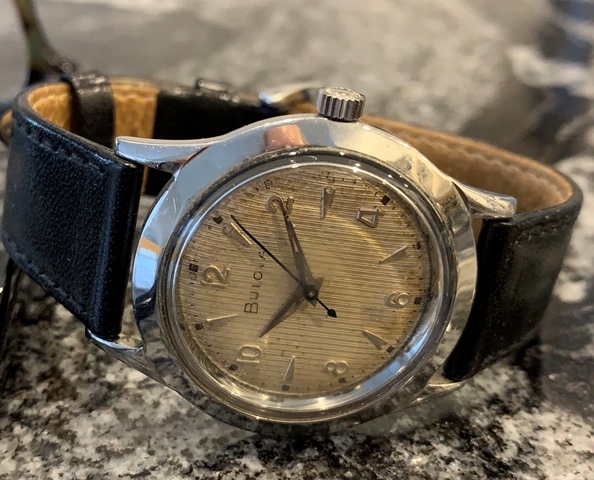 This watch is in good working condition but last service date is unknown. 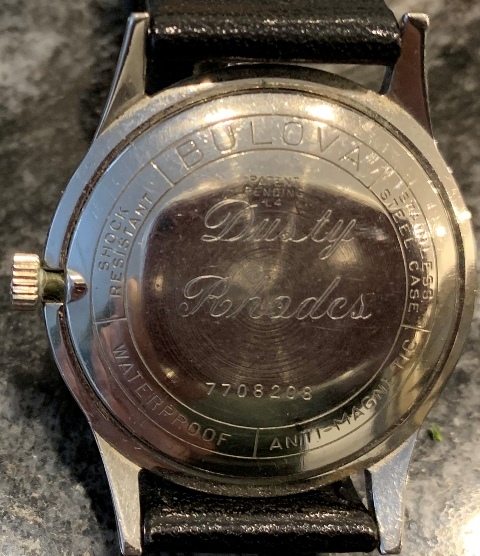 Photos are magnified and show details not seen by naked eye, the case measures 34 mm across (not including crown) x 41 mm lug to lug and is fit with a leather bracelet.